BROOKLYN — When moving into a new development, there are many aspects of condo life that can’t be gleaned from touring a model apartment. Buyers getting their new keys may find themselves faced with unforeseen issues when their buildings transition from the developer’s control to that of their condo board, like what to do with construction defects and how to figure out a building’s budget and expenses. More and more New Yorkers are finding themselves embroiled in these fraught situations as a wave of new condo construction or gut rehabs continue to wash over the city — especially given the uptick in small, self-managed condos in areas like Red Hook, Park Slope, Greenpoint and Harlem. “A lot of these eight-unit, full-floor condos are having problems with faulty construction and repairs three or four years later,” said Rebecca Poole, who teaches a course for self-managed buildings at the New York chapter of the Community Associations Institute (CAI), an international nonprofit dedicated to helping condos and co-ops. Here are tips from some of the experts participating in the event. 1. Be prepared for construction defects. “It’s inevitable there are going to be construction defects. It’s just the nature of the business,” said Stephen Lasser, an attorney from the Lasser Law Group. Common building defects tend to involve waterproofing issues, whether it’s a leaky window or roof, he noted. The bigger and more reputable developers tend to address the problems quickly, Lasser said. The smaller ones, often “looking to cash out as quickly as they can,” might not be as responsive. 2. Expect some disorganization from a new board. Developers retain control of a building until a certain percentage of units are sold, whether it’s 75 percent or some times even 100 percent, explained Kenneth Jacobs, a lawyer with Smith, Buss & Jacobs. The board is entitled to a significant amount of financial information and other materials from the developer — including service contracts, warranties and building plans — which often proves difficult to obtain. 3. Take an active role in your building’s community. While the developer is still in control, apartment owners who aren’t on the board tend to feel a sense of powerlessness from the time they move in. They often develop a renter’s mindset, said Jacobs, suggesting a way around that is to start a tenant association from the get-go. As the new boards — filled with volunteer owners — find themselves having to make policies on everything from leasing rules to noise and pets, it’s a big adjustment for the other owners in the building. Many don’t view themselves as partners with the board, which Jacobs said is a mistake, since working together and figuring out what’s best for everyone’s property values is important. It’s a “condo myth” that residents don’t need to be involved or abide by rules, he said. 4. You shouldn’t have to subsidize the water and electricity bills of ground-floor retailers. For condos with retail tenants on the ground floor, it’s important to know if the commercial spaces have their own sub-meters for electricity and water. Untangling the expenses between the residential portion of the building and the commercial spaces — whether they’re restaurants, shops, garages or hotels — can be tricky. Murray has seen fights over the sharing of elevators and lobbies and how to pay for repairs and maintenance of common spaces, noting that offering plans are sometimes vague on how the expenses are shared. 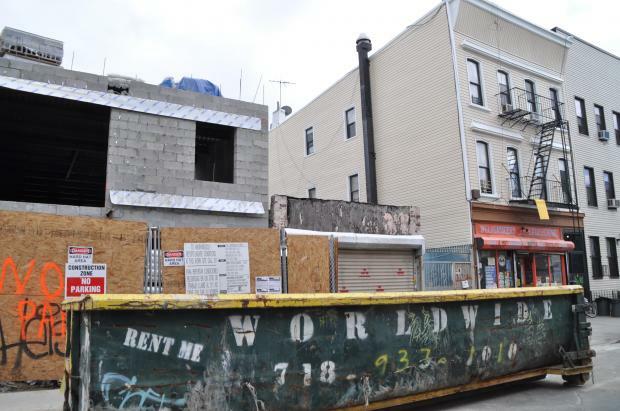 The Avoid New Construction Blues seminar, organized by Big Apple CAI, will take place at Pierhouse, 90 Furman St., Brooklyn Bridge Park, on Thursday, Sept. 28, from 7 to 9 p.m.